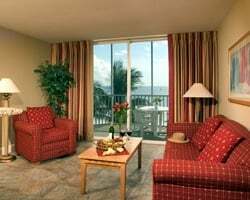 In keeping with the promise of the SunStream brand, *SunStream Vacation Club at Diamondhead Beach Resort and Spa* is a stunning Fort Myers Beach escape that puts your comfort above all else. Whether you seek an elegant meal, a relaxing swim, or simple business accommodations, all of your endeavors are sure to be enveloped in ease and peace at this service-oriented establishment. All suites are inspired by personal condos, and offer luxuries such as granite countertops and rewarding balconies that allow staying in your living space to rival a day on the beach or at the pool. The resort is also well-located near the entertainment district, where shopping, dining, and other cultural pursuits await. For more information, visit www.diamondheadfl.com. Price Reduced! Buyer has an additional week available for use in 2018! Week 43 with the option to float! Buyer may receive a title fee credit. Price just reduced by $2500! Enjoy vacationing in sunny Ft Myers! Week 17 w/ the option to float! Buyer may receive a title fee credit, inquire today! Enjoy staying close to dining, shopping and more! Week 20 every year! Buyer may receive a title fee credit, inquire for details! Stay close to shopping, dining and more! Week 42 every year! Buyer may receive a title fee credit, inquire for details! Location closed to shopping and more! Week 35! Restaurant overlooking the Gulf of Mexico! Buyer may receive a title fee credit, inquire for details! 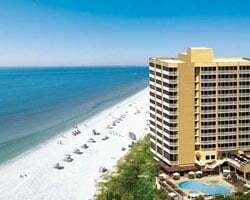 Enjoy white sand beaches, suites with all the comforts of home and much more! Buyer May Receive A Title Fee Credit, Inquire For Details! Motivated Seller! 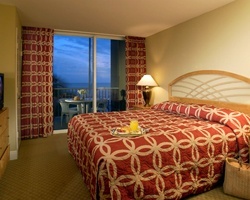 Enjoy lovely Fort Myers Beach resort! Week 17 also available to float! Buyer may receive a title fee credit, inquire for details! Beautiful suites with all the comforts of home and more! Week 50! Buyer may receive a title fee credit, inquire for details! Close to shopping, dining and more! Pool view! Week 20! Buyer may receive a title fee credit, inquire for details! Motivated Seller! Beautiful suites with all the comforts of home and more! Beachfront location! Week 3 usage! Inquire for details! Beautiful beachfront resort! Annual week 34 usage or watch the fireworks from the comfort of your balcony on the 4th of July! Inquire for details! Deeded week 45 with the option to float! Float 2 pool! Buyer may receive a title fee credit, inquire for details! Deeded week 40 with the option to float! Float 2 pool! Buyer may receive a title fee credit, inquire for details! Deeded week 23 but has the option to float! Buyer May Receive A Title Fee Credit, Inquire For Details!